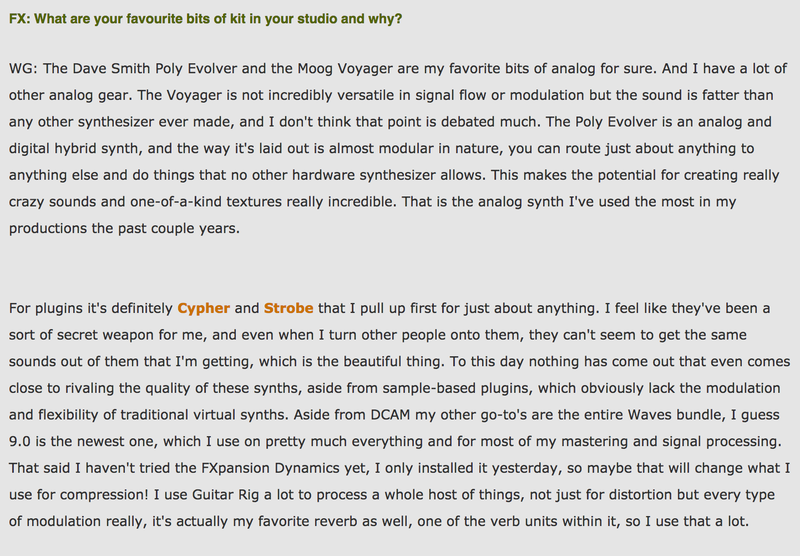 "The Dave Smith Poly Evolver and the Moog Voyager are my favorite bits of analog for sure. And I have a lot of other analog gear. The Voyager is not incredibly versatile in signal flow or modulation but the sound is fatter than any other synthesizer ever made, and I don't think that point is debated much. " In answer to, "What are your favourite bits of kit in your studio and why?" From an interview with Wolfgang Gartner on [FXpansion](http://www.fxpansion.com/index.php?page=12&tab=58&showartist=145&xmode=singletab). Mix engineer Tommaso Colliva on recording Drones : "There are fewer keyboards on Drones than on previous albums, and the ones we did use are the usual suspects, like the Buchla 200e, ARP 2600, Korg MS20, Prophet 5 and Moog Voyager." "His collection includes a Doepfer A100 modular synthesizer, a Mellotron, a Minimoog, and a 1970 ARP 2500. “For a long time I was using mainly the Doepfer. I was more interested in using the LFO and gates and treating other instruments with it. I wasn't interested in using a synthesizer's oscillators. But the ARP 2500 has renewed my interest in oscillators completely, because they sound incredible. It's the same thing with guitars and recording equipment — the old stuff sounds better, louder, warmer, and more soothing." A Minimoog Voyager can be spotted in FlyLo's studio setup in a photo he shared. The Minimoog Voyager is one of the synths in Calvin Harris' studio, it can be seen in several photos and videos. 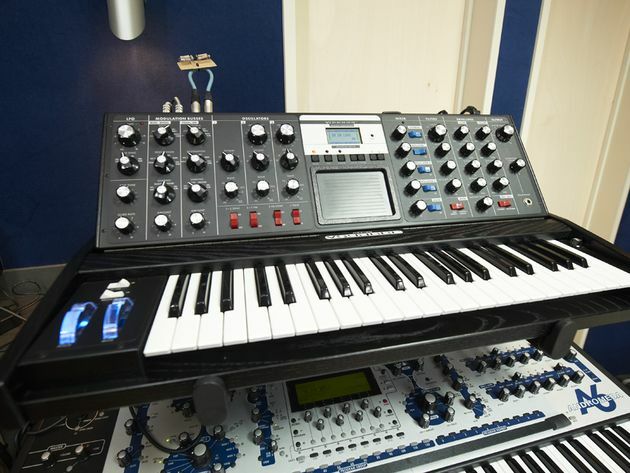 A Minimoog Voyager synth can be seen in a photo of Dimitri Vegas & Like Mike's studio. In this magazine on page 66, in his selected list there is. Steve Angello often posts about his Moog Voyager synth, he can be seen playing with it at 0:40 in the YouTube video "Size TV - Episode 6"
One of Toro Y Moi's favorite hardware synths is the Minimoog Voyager. A special article by Stoney Roads details some special equipment select artists use. "One of my main ‘go-to’ keyboards for new sounds. I love it." At 2:24 you can see Justice's Moog Voyager on stage. Nick McCarthy uses a Moog Voyager in Franz Ferdinand's performance of "Ulysses" on The Late Late Show. "Eddie had come up with a cool new riff on a Minimoog synthesizer and shared it with Templeman and Roth. Soon after, the pair hijacked Eddie’s synth composition for “Dancing in the Streets,” a cover song that Van Halen disliked. In the end, Van Halen told Guitar World, “Ted and Dave were happy — and I wasn’t.” "
A Moog Minimoog Voyager Synthesizer can be spotted in The Bakery. At the end of the interview he lists all of his studio gear. Although it's date is 2010, I tried to list only stuff I know he has till this day. This synthesizer can be seen towards the bottom of this Instagram photo. "Playing LUXEMBURG in 2 hours!! (-: #Trentemollerluxemburg#trentemoeller #trentemøller #losttour"
Throughout this video, in which Mathew Jonson highlights his live performance setup, The Voyager can be seen, to the left of his laptop. in this photo we can see an minimoog voyager.. In this video, J. Rocc and others open J Dilla's storage locker, and he recounts a story with J Dilla at 20:54: "...and they sent him THIS. He hit me up, 'J. Rocc, I've got the Moog back man, I'm back in business baby!' I was like, 'C'mon man! What?' It was on the TV tray... he was like, 'I got the keyboard back!' He was waiting for this..."
In an interview with RA, John elaborates on his live setup: "The only thing that is really sequenced or clocked is the Moog Voyager, which is synced to an MPC2500"
When asked what tools he uses to produce, at 0:18 into the video Paper Diamonds says he uses a Moog Minimoog Voyager synth. “but then countered it with a super-distorted Minimoog Voyager in the chorus … That sounds extremely modern to me." in reference to Taylor Swift's "Out Of The Woods". There is a Voyager in this picture that is captured from a YouTube video. "Regarding synth I use a lot of different ones like Prophet VS , Mini Moog"
Jordan gives a tour of his Studio A, and the Voyager is seen around 0:48. 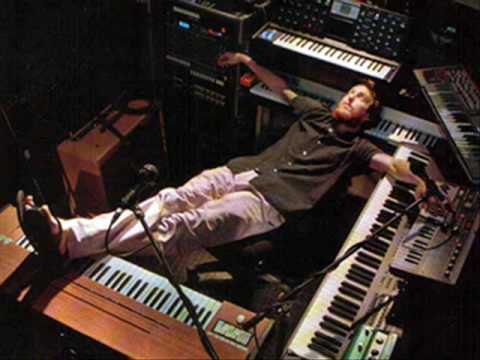 Minimoog voyager electric blue can be seen to the right of the Hammond organ above his Kurzweil keyboard. from the start of the clip he also demonstrates it in this video. 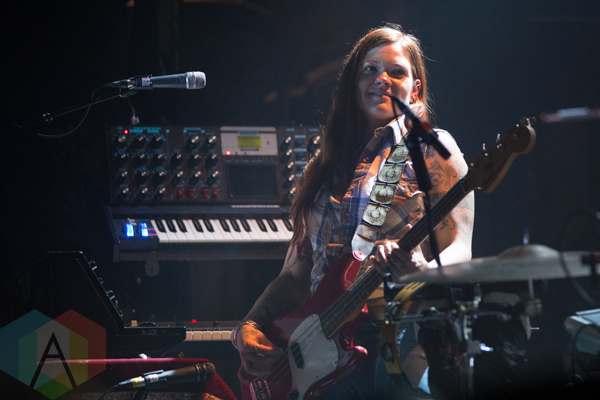 in this website featuring the keyboards used by brandon, the moog voyager is mentioned. Two keyboard racks inside Subconscious Studios (cEvin's studio). 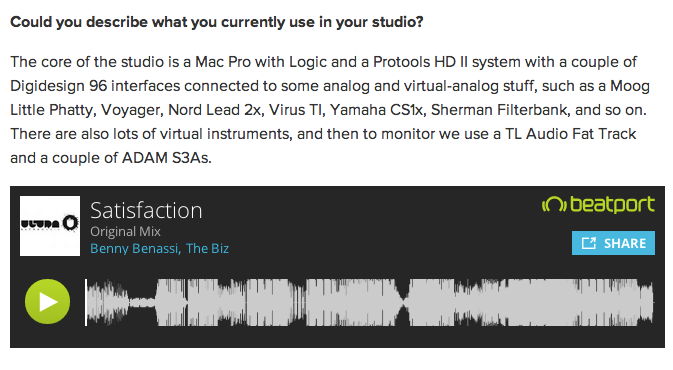 In an [article from *beatportal*](http://news.beatport.com/benny-benassis-righthand-man-cousin-alle-benassi-on-the-ghost-writing-phenomenon/), Alle is asked what's currently used in his studio, he responds, "The core of the studio is a [Mac Pro](http://equipboard.com/items/apple-mac-pro) with [Logic](http://equipboard.com/items/apple-logic-pro-x) and a [Protools HD II](http://equipboard.com/items/avid-pro-tools-hd-2) system with a couple of [Digidesign 96](http://equipboard.com/items/digidesign-96-i-o-analog-digital-converter) interfaces connected to some analog and virtual-analog stuff, such as a [Moog Little Phatty](http://equipboard.com/items/moog-little-phatty-stage-ii-keyboard-synthesizer), Voyager, [Nord Lead 2x](http://equipboard.com/items/nord-lead-2x-rack), [Virus TI](http://equipboard.com/items/access-virus-ti-desktop-synthesizer), [Yamaha CS1x](http://equipboard.com/items/yamaha-cs1x-control-synthesizer), [Sherman Filterbank](http://equipboard.com/items/sherman-filterbank), and so on. There are also lots of virtual instruments, and then to monitor we use a [TL Audio Fat Track](http://equipboard.com/items/tl-audio-fat-track) and a couple of [ADAM S3As](http://equipboard.com/items/adam-s3a-active-monitors)." In this photo, Kanye West is seen with a Mini Moog Voyager. you can see byron using the voyager to play the bassline in "how you sleep at night"
Dntel's Jimmy Tamborello gives a studio tour in this video talking about , Tamborello talks about the new Voyager in his collection: “I mostly like because of these glowing wheels and this Kaos-paddy thing [gives demonstration]." Like many producers in electronic music I wanted to own my own Moog synth from the beginning. So the Minimoog was one of the first synths I bought when I started to make a little money with my music. I used it a lot in my early productions. My first records under my real name featured sawtooth basslines a lot. This is the synth I made them with. I have to have it serviced, though – it’s not very stable now. That’s why I bought the Voyager two years ago – to have a fully functional Moog synth when I need one. I’m not using it a lot nowadays but I will never sell my Minimoog as it was my first real proper synth. Even though the Moog Voyager may be presented as a higher standard of synth, I find the SE-1 more interesting and lush, and it has often been used on my older tracks, such as as ‘Freakside’, ‘Portico’, ‘Sea Of Sand’, ‘After Love’ together with Guy Gerber, and many others. Neal uses the Minimoog Voyager in his own studio. In this Facebook photo, a Moog Minimoog Voyager can be seen in Basement Jaxx's studio. On this video she shows her setup of synthesizers. The item can be seen 1:16 into this video on the middle of the rack on the right. "Things are Sounding and Looking good around here #ShrinerS Moog Voyager +Dave Smith PolyEvolver"
Signature models will become prized possessions for decades to come, and the Performer models will prove to be major players in future of music to come!! It's being used by Stevie Wonder, Maroon 5, the Crystal Method, Electric Skychurch, Duran Duran, Air, Morcheeba, Black Eyed peas, Nine Inch Nails, Blues Traveller, Red Hot Chili Peppers, Dido, The Cure, Herbie Hancock, Rick Wakeman, Yes, Nickelback, Dream Theater, Paul Simon, Joy Electric, the Neptunes, Alicia Keys, CeeLo Green, Madonna, Incubus, FUN, Radiohead, Bjork and more! "VanWyngarden sequenced basslines on the drum machines but also controlled a Moog Minimoog Voyager, which makes the synthesized cowbell sound at the start of the song." This picture is from Kygo's Music Video "Stole The Show". It show's a back shot of the Mini Moog synth. used for the track called "adi"
"...@moogmusicinc Voyager and @Roland_US SH101 for arps..."
In this video, Amon Tobin shows some of the equipment in this studio. The Moog Minimoog Voyager appears at 00:10.
you can even see it from the mirror!! In this black and white photo of Neros' studio you can see at the top of a stack of keyboards a Minimoog Voyager. at 36:49 you can find the synth behind him! At 3:14, Dave Spoon explains that he "used the mini moog to actually reprogram the same sound, which is probably hidden behind the [mini]monsta..."
At 1:11 in this vidio, Daniel Mintseris (keyboard player for St. Vincent) is showing Toko's Moog Minimoog Voyager. In an interview with Keboardmag.com he says he owns a Nord lead 2 and a Minimoog Voyager. "Yes, as well as the Nord Lead 2 I still have, and the Minimoog Voyager." Minimoog Voyager can be seen during Alessandro Cortini's "synth cave" tour. The item can be seen 14:02 into this video. There are also some nice sounds where I can add a mini-moog like lead sound (made from the guitar sound thru filters...no MIDI stuff) or add an acoustic to the electric for a nice doubling (Sounds not so good on their own though). The Minimoog Voyager can be seen as one of the voices Jamie is using to play all of his monosynths as a polysynth in this video. In this video posted by Eekkoo we can see the Minimoog Voyager. Eekkoo says in the description "Having fun with Ableton Live and the Voyager from moog Music." "We use an API 1608 desk, various compressors like the Universal Audio 1176s and the blue DBX 160 series. I still prefer my old Lexicon 480L to the digital plug-ins. The latest version of Pro Tools is great to have, because it is very easy to combine all the old gear with that. In ATR, we use the Roland TR-909 as the main drum machine; it’s part of the band’s sound, really. Then we still use the old Akais for ATR, like the S1100 or the S6000 or the MPC 2000XL. They are also part of the band’s identity in a way. Especially when you apply distortion. We also have a lot of modular synths, from the Metasonix Wretchmachine, the ARP 2600, Analogue Solutions Vostok, the Sherman Quad Filterbank and the Moog Voyager with all the external CV gate stuff. We find the Voyager better suited for ATR. My Minimoog just sounds too retro. I love the machine, as so many others (my Korg Trident, Roland Jupiter 8 etc...) but ATR has a certain sound that we stick to. I use all that other stuff more for the Alec Empire solo works. The Atari 1040ST is still the main sequencer for everything. Pro Tools is slaved to that." In this Sound on Sound Article it says Mark Ronson uses a Moog Voyager Exerpt: As far as hardware instrumentation at Allido goes, Ronson has a collection of synths and vintage keyboards that are constantly in use, including a Moog Voyager, a Roland Juno 106, a Nord Electro and a Hohner Clavinet D6, alongside his trusty Wurlitzer, Rhodes and upright pianos. "It's cool when you have a keyboard that nobody has or isn't using much any more," he says. "One of them I put all over Robbie Williams' 'Lovelight' is the Roland String Ensemble. It comes in with the second chorus and phases through the whole thing doing the big string line. Then there's the gated sound at the beginning of the track, which is me just scratching a synth sound on a [Pioneer] CDJ1000." she says (in the quote pasted to support her korg mini here, on this same site), that, "yeah, and my moog voyager" - and here it is in her background. In the attached video you can see the Mini Moog among a ton of other stuffs at the 2:38 mark in the video. In this image of Dj Promo's studio setup we can see a lot of synthetizers, one of these is **Moog Minimoog Voyager** and we can find it on his left. The Voyager can be seen in his studio during The Uncluded practice photos. In this photo of Nosa Thing, taken from this [xlr8r article](http://dev.xlr8r.com/gear/2012/11/studio-nosaj-thing), there is a Mini Moog Voyager in front of him. At 0:07 - 0:08 you can see their keyboardist using the Voyager. Here Roy is seen on stage, before a show with his band 'Mutemath', being interviewed by JHS Pedals. He is standing next to the Moog Minimoog Voyager, which he uses to get deep synth bass for some of their songs. He talks about using the Moog when recording their third record 'Odd Soul' at 2:46 in this video. "I played bass and I played guitar and all that stuff, but the main sounds, especially in the riffs and verses, really come from this Moog"
"Mark Motherbaugh's keyboard rig comprises a Korg microKORG synth, a Moog Voyager and original Minimoog." Starting at 2:48 in this video Matador explains how he used the Moog Minimoog Voyager to create the bass line for producing "The Enemy"
In this photo of Odesza working in the studio from July 2017, their Moog Minimoog Voyager synth can be seen below the [Korg Minilogue](http://equipboard.com/items/korg-minilogue-analog-synthesizer). As seen in the Duran Duran Studio Tour videos on youtube, used extensivly on the album "Paper Gods"
In this video at 1:32 you can se the Moog Voyager in his setup. 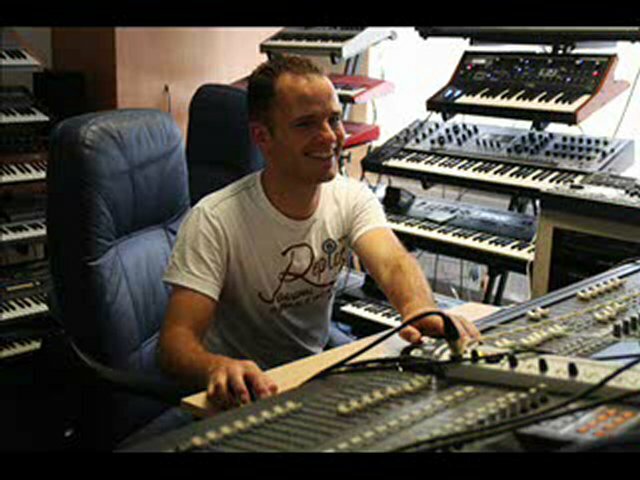 in this photo we can see his minimoog voyager.. In November 2001, Moog Music (then Big Briar) announced that they planned to release an updated version of the Minimoog. The new synthesizer promised to have modern features, yet continue to be authentic to the original sound quality. The company offered a new synthesizer to the customer who could come up with a name for the project. Early in 2002, they announced that the synthesizer would be named the "Minimoog Voyager". Late in the summer of 2002, Moog Music began shipping the new Voyagers. Occasionally a new system software release is made available, which can be downloaded from Moog Music's website and sent to the Voyager via MIDI. Recent software versions allow complex internal patching of control voltages, a very powerful and convenient feature for the user. Also available is the VX-351 Voyager Expander, an external box that is wired to the Voyager featuring 25 control-voltage outputs for physical CV patching. Recent versions of the Voyager software expand the original 128-patch memory to 896 patches by implementing seven selectable banks, A to G, with 128 patches each. The current model (2007) has most of the patches pre-programmed in groups corresponding to earlier software releases. So what do you think of these modern analogue synths such as the Moog Voyager and Dave Smith Prophet 08 which have their heritage in classic instruments? In this interview, Liam Howlett explaind his adventure with the Minimoog: "I did something really silly about a year ago -- I had loads of analogue gear (including) a Minimoog... and I got rid of (it)! I played a JD800 in a shop, and thought it was pretty cool; it seemed to have the analogue feel. (...) When I got the JD800 home, I knew within a week I wasn't happy with it. I'm definitely getting the Minimoog back!" At 0:03 in this video, Classixx's Minimoog Voyager can be seen. In this Vine video we can see a Moog Voyager's back panel. He says, "i can’t get away from the Moog Voyager for bass sounds. " in this live footage you see a Moog synth next to Svein, based on shape and button layout it's a minimoog and you can see a small screen at times proving it's a Voyager. In this article there is a complete description of Butch's studio equipment. The Moog Minimoog Voyager is vital part of it. For more information regarding this product check out the website! The synthesizer is in the shelf behind him. Paula Temple has uploaded a photo to her facebook page stating she was back in the studio. In this photo, you can see, to the right a Moog Minimoog Voyager. Seen on a stand at 7:54 in the video. "I had my Moog Voyager and my Micromoog." Here's Nina posing with a Voyager. I'm assuming she used it to make some records because who would just sit next to a Minimoog and not play it?! In this video, Adam presents the gear he uses for the Steven Wilson tours. On Twitter, VPX says, "Time to play with the Voyager!" in another tweet directly afterwards, he clarified: "Moog Voyager, that is." Da Dough tweeted out that he was gonna start playing with the Voyager Synth on March 8th, 2017. Are they more like vintage toys or do you frequently use them in the studio? "I do use them on my tracks. If something needs to be done quickly I'll turn to plugins, but I also take the time to use outboard gear, especially the Yamaha CS80, which I use a lot for pads, or the Minimoog for bass. "Everything does have its purpose and I know what to go to. The way I've got my studio rigged up, a lot of the synths have MIDI retrofit, so you can stick them on a MIDI track and send them out to whatever board you want to use." "Got keys:" This is from their fb photos. They can usually be seen using Ableton during live gigs. This [tweet from the Soft Moon's account](https://twitter.com/thesoftmoon/status/190681143954247680) shows the face of an Anniversary Edition Voyager. Mioux Mioux or Julian Corrie is using this on tour with Franz Ferdinand in 2018. It can be seen 15 secconds into the video. "On the album though, a lot of the synths are from this really amazing studio called Panoramic House Studio in Bolinas, California, and it's just filled with these beautiful vintage synths. There's a Voyager and ARP Odysseys all over it. There's the Jupiter-6." Bought in London directly from the engineer R.Moog in 1972, Roby used this synth to write and perform the beginning instrumental part of the famous "Noi due nel mondo e nell'anima". He was called the "italian Keith Emerson"
At the very beginning of the clip, you can see the top right corner of the Minimoog Voyager. You can tell by the layout of the knobs and the screen in the center of the synth. The highly anticipated Minimoog Voyager synthesizer has arrived! This masterpiece of a synthesizer marks two landmarks in the history of synthesizers: the rebirth of the Minimoog and the return of Moog Music! Dr. Robert Moog himself helped design this modern-day Minimoog along with Big Briar. Big Briar (formed by Dr. Moog in 1978) became popular in the nineties with their Moogerfooger analog effect boxes and Etherwave Theremins. In 2002, Moog got the rights back to Moog Music so Big Briar (and all its products) are now Moog Music. Moog Music introduced the Minimoog Voyager synthesizer in two editions: the Signature Edition and the Performer Edition. There were only 600 Signature Edition models and they listed for $3,495 each! Their unique features include: Hand-finished wood cabinet in your choice of genuine solid maple (light), cherry (honey-colored), or walnut (brown), illuminated, clear acrylic Pitch Bend and Modulation wheels, gold-plated nameplate, padded Gig Bag, 4-year warranty with two free factory tunings, and is individually inspected and signed by Bob Moog. The Performer Edition listed for $2,995 and has a solid hardwood cabinet. The Minimoog Voyager is a true analog monophonic synthesizer (probably the most expensive one of its kind) and is based entirely on the original classic Minimoog Model D, which was produced by Moog Music, Inc. from 1970 to 1982. It introduces many new features, including a three dimensional touch pad, MIDI I/O, extensive patching facilities, patch storage, and more! It's cased in a beautiful, solid hardwood cabinet with a multi-position hinged control panel. Just like the original, the Voyager has three analog wide-range voltage controlled oscillators, one noise source, as well as one audio preamplifier for externally-applied audio signals. Two resonant Moog-style filters are on-board and function in dual lowpass or lowpass/highpass modes and can be modulated by one of the two ADSR envelopes, the LFO, or external control. All knobs and switches can have their settings stored into one of 128 Program memories. Program Banks as well as the Voyager's Operating System can be uploaded/downloaded via MIDI SysEx. Centered on its front panel is the ominous, black 3-D (XYZ) Touch Surface which provides three continuously-variable control signals which are derived from the up-down and left-right position of the player's finger, and the amount of area with which the player makes contact to the surface. There's also a 44-note keyboard, this time with velocity and aftertouch sensitivity. Also on-board are Pitch and Mod wheels, Glide/Portamento, and a series of 1/4" CV and/or Pedal jacks lining the top/rear of the front panel. The Mod Wheel can be sent to control all oscillators, or just VCO2, VCO3, the filter cutoff, or LFO rate. The Mod can gets its source from the LFO (triangle/square/sample-n-hold waveforms), VCO3, or the external Mod2 input. A Mixer Module gives you a five-input mixer for combining various audio sources prior to filtering between the oscillators, noise and external audio input signals. The new Minimoog Voyager is a first class synth; every bit as elegant in look as sound and quality. It is highly streamlined and offers all the functionality of a modern day (mono)synth with the classic, warm, unforgettable Moog sound. It WILL replace your original Minimoog (if you're lucky enough to have one). Signature models will become prized possessions for decades to come, and the Performer models will prove to be major players in future of music to come!! It's being used by Stevie Wonder, Maroon 5, the Crystal Method, Electric Skychurch, Duran Duran, Air, Morcheeba, Black Eyed peas, Nine Inch Nails, Blues Traveller, Red Hot Chili Peppers, Dido, The Cure, Herbie Hancock, Rick Wakeman, Yes, Nickelback, Dream Theater, Paul Simon, Joy Electric, the Neptunes, Alicia Keys, CeeLo Green, Madonna, Incubus, FUN, Radiohead, Bjork and more! The father of all synths...enough said. Incredible tone. Absolutely love this synth. The king of bass and vintage sounding leads. Built like a tank. What more can I say? This is cool. My only hardware-synth. If you're reading this, you probably already know what it is and what it can do. So rather than review the features, I'll explain why I love it. I was classically trained on piano, and play mostly Jazz / Rock keys and electric guitar. I play with my hands. I step on stompboxes, work the wah, tweak knobs. I'm a knob tweaker. Scrolling through endless presets is not my style. With my Voyager, and all its glorious knobs, I feel like I am really connecting with the instrument not only on a tactile sense but a deeper, creative sense. I can physically adjust every setting by turning and flipping instead of scrolling or swiping, etc. The only thing that could possibly make this any better is if it were a polyphonic. But there are three oscillators, so creating intervals is easily done! And if you like presets, there are some great ones. Another beautiful well build piece of equipment. Very deep and awesome sounding mono synth. I love my minimoog voyager. It's the electric blue one. I find programming it relaxing, fun and entertaining all at the same time. It's well known that the minimoog can produce fabulous bass tones and lead tones but until you actually play them it's difficult to appreciate. This was a vanity purchase really, I've lusted after one since I first heard Lucky Man and Yes. I had to wait 40 years to be. Able to afford one but it's worth it. The highly anticipated Minimoog Voyager synthesizer has arrived! This masterpiece of a synthesizer marks two landmarks in the history of synthesizers: the rebirth of the Minimoog and the return of Moog Music! Dr. Robert Moog himself helped design this modern-day Minimoog along with Big Briar. Big Briar (formed by Dr. Moog in 1978) became popular in the nineties with their Moogerfooger analog effect boxes and Etherwave Theremins. In 2002, Moog got the rights back to Moog Music so Big Briar (and all its products) are now Moog Music. Moog Music introduced the Minimoog Voyager synthesizer in two editions: the Signature Edition and the Performer Edition. There were only 600 Signature Edition models and they listed for $3,495 each! Their unique features include: Hand-finished wood cabinet in your choice of genuine solid maple (light), cherry (honey-colored), or walnut (brown), illuminated, clear acrylic Pitch Bend and Modulation wheels, gold-plated nameplate, padded Gig Bag, 4-year warranty with two free factory tunings, and is individually inspected and signed by Bob Moog. The Performer Edition listed for $2,995 and has a solid hardwood cabinet. The Minimoog Voyager is a true analog monophonic synthesizer (probably the most expensive one of its kind) and is based entirely on the original classic Minimoog Model D, which was produced by Moog Music, Inc. from 1970 to 1982. It introduces many new features, including a three dimensional touch pad, MIDI I/O, extensive patching facilities, patch storage, and more! It's cased in a beautiful, solid hardwood cabinet with a multi-position hinged control panel. Just like the original, the Voyager has three analog wide-range voltage controlled oscillators, one noise source, as well as one audio preamplifier for externally-applied audio signals. Two resonant Moog-style filters are on-board and function in dual lowpass or lowpass/highpass modes and can be modulated by one of the two ADSR envelopes, the LFO, or external control. All knobs and switches can have their settings stored into one of 128 Program memories. Program Banks as well as the Voyager's Operating System can be uploaded/downloaded via MIDI SysEx. Centered on its front panel is the ominous, black 3-D (XYZ) Touch Surface which provides three continuously-variable control signals which are derived from the up-down and left-right position of the player's finger, and the amount of area with which the player makes contact to the surface. There's also a 44-note keyboard, this time with velocity and aftertouch sensitivity. Also on-board are Pitch and Mod wheels, Glide/Portamento, and a series of 1/4" CV and/or Pedal jacks lining the top/rear of the front panel. The Mod Wheel can be sent to control all oscillators, or just VCO2, VCO3, the filter cutoff, or LFO rate. The Mod can gets its source from the LFO (triangle/square/sample-n-hold waveforms), VCO3, or the external Mod2 input. A Mixer Module gives you a five-input mixer for combining various audio sources prior to filtering between the oscillators, noise and external audio input signals. The new Minimoog Voyager is a first class synth; every bit as elegant in look as sound and quality. It is highly streamlined and offers all the functionality of a modern day (mono)synth with the classic, warm, unforgettable Moog sound. It WILL replace your original Minimoog (if you're lucky enough to have one). Signature models will become prized possessions for decades to come, and the Performer models will prove to be major players in future of music to come!! It's being used by Stevie Wonder, Maroon 5, the Crystal Method, Electric Skychurch, Duran Duran, Air, Morcheeba, Black Eyed peas, Nine Inch Nails, Blues Traveller, Red Hot Chili Peppers, Dido, The Cure, Herbie Hancock, Rick Wakeman, Yes, Nickelback, Dream Theater, Paul Simon, Joy Electric, the Neptunes, Alicia Keys, CeeLo Green, Madonna, Incubus, FUN, Radiohead, Bjork and more! would you stop posting marketing propaganda as your reviews?